The crew on Moana 2 was great !!! The “skilled team” worked hard the full day , inorder to fulfill my dream to fight a blue marlin. We succed to catch & realese a blue marlin ( size +300lb). 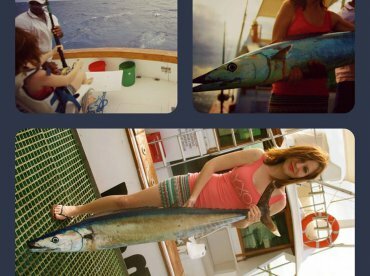 My 13-year old daugther Ida, caught strong bonito, and she is very proud of this. If I have the possibilities in the future to come back , Moana 2 will be my choise. “The crew on Moana 2 was great !!! The “skilled team” worked hard the full day , in order to fulfill my dream to fight a blue marlin” what a nice compliment! It is never easy for a Captain or the crew to please everyone, although it is our daily goal, but there is nothing more rewarding than a review like the one you have just posted on fishingbooker. Thank you so much. We had a wonderful day out on the water with Francis and Albert. Although we left the big ones for another day the boys could not have done more for us on the day. The boat and gear was top class and immaculately maintained. 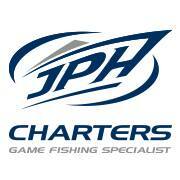 I would definitely recommend this charter service to other anglers. Thank you for taking the time to share your experience on board the Moana 2. I am glad to read that Francis & Albert have made your fishing trip so memorable. Your kind comments have been shared to the entire team, including those working behind the scenes. Please don’t hesitate to follow us on our Facebook page “JPH Charters Mauritius”. We hope to have the pleasure of welcoming you back in the near future. We booked “Gamefisher 2” for some deep sea fishing. It’s 34 foot boat with top quality equpment. Captain and crew were perfect, giving there best all the time. Unfortunately we got only one tuna, but that day was still great. The only thing I was not happy about was snorkling location because captain stopped over sand and not reef and it was incomparable with tamarin area where we were few days before.